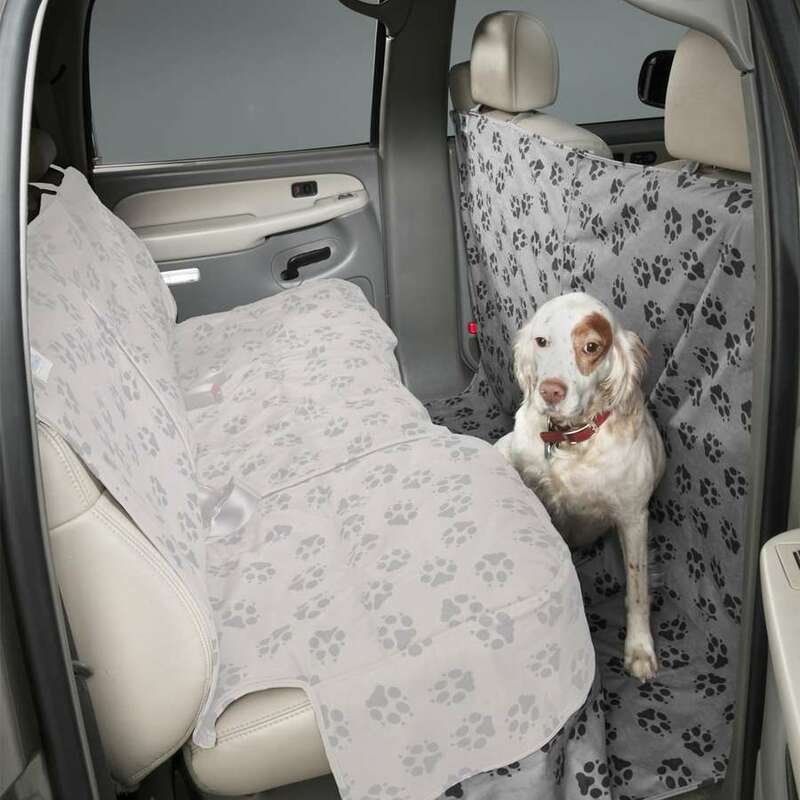 Creates a partition behind front seats ensuring your canine stays in rear seat area. Use together with Custom Rear Seat Protectors which are sold separately. An easy way to be sure your canine stays in the rear seat area by creating a partition across the back of the front seats. 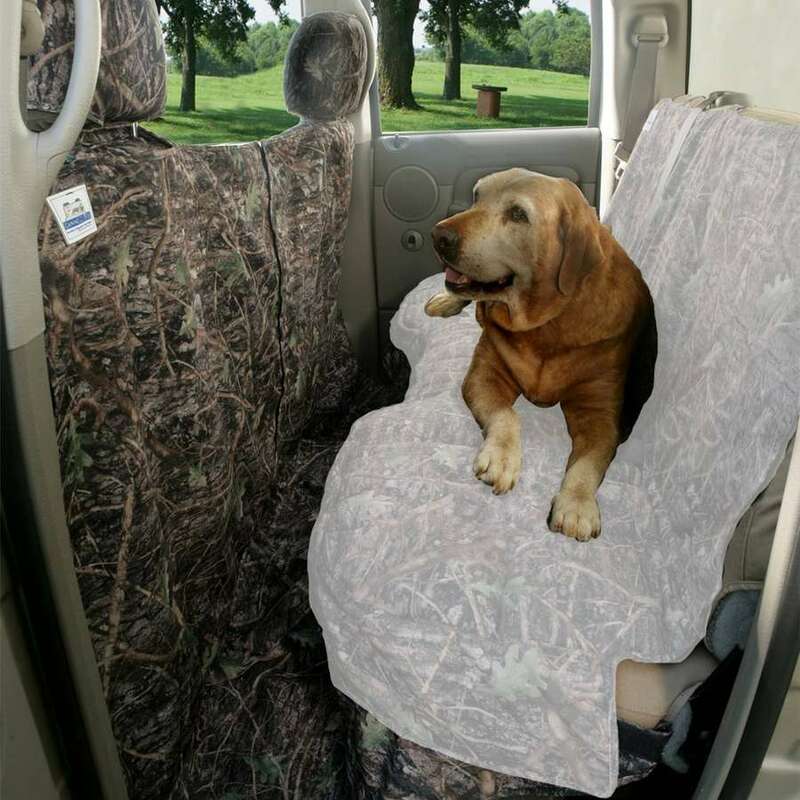 Canine Covers® provide a comfortable way for "man’s best friend" to travel, while protecting vehicle seating surfaces, floor, seat back and cargo area from pet hair, scuffing and “accidents”. 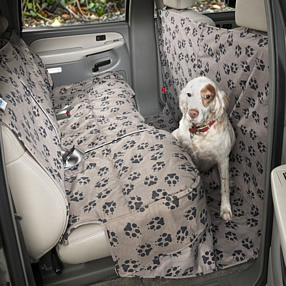 Canine Covers are the ultimate seat protectors for people who travel with dogs and want to maintain the interior appearance of their car or SUV. 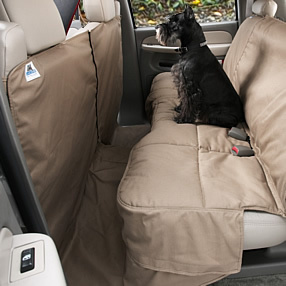 The first Canine Cover was developed in 1998 and the program now includes both custom and universal-type seat protectors and a plush, easy-to-clean dog bed for home use or travel.